Welcome to Lo-Lo's Westmoreland Barber Shop! Experience and reminisce on barber shops of the past at Lo-Lo’s in Southeast Portland. A place where men, women, and children can receive affordable services, including quality haircuts and beard trims. 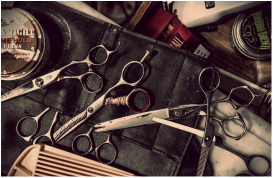 Lo-Lo’s team or barbers makes sure each guest receives a tailored haircut to fit their needs. Starting January 2017, you can use our online booking system to schedule an appointment with Barber Laura (Lo-Lo) only. The rest of the barbers will continue to work on a walk-in only basis. Lo-Lo's is Southeast Portland's best barbershop experience, located in the heart of Westmoreland situated between Fat Albert's Breakfast Cafe and the Limelight Restaurant and Lounge.